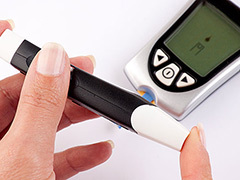 Pregnancy changes the body in so many ways, and those women who have diabetes within their family are at special risk. Not only do they have to be concerned about their baby, but they also have to watch out for potential diabetes condition within themselves. A recent Italian study resulted in findings that show the adding of myo-inositol saw supplement may be the answer for those pregnant women with a history for diabetes risk and may help in the birth of healthier babies. It’s a well know medical fact that pregnant women developing diabetes often have overly large babies. The added size can cause birth complications as well as continued obesity, learning disabilities and potential diabetes risks later in life. 220 pregnant women were selected for this small pilot study. These women had at least one parent with Type 2 diabetes. The group was given either the myo-inositol supplement with folic acid or just the folic acid alone. Of the group, only six percent of the women taking both supplements experienced any gestational diabetes development, whereas the folic acid alone group jumped to fifteen percent development of diabetes. Myo-inositol saw supplement is found as a component in inositol, a naturally occurring B vitamin found in some nuts, grains, fruits and meats. However, they are usually in lower levels. Typical portions of myo-inositol are approximately 1.5 to 2 g per day, as per the advisement of a primary healthcare provider. Another factor to note is that none of the babies in the myo-inositol group were overweight, however, seven of those babies born of mothers in the non-supplement group were over eight pounds, thirteen ounces. Myo-inositol has been used in other studies to show that inositol supplements might bring assistance to those patients suffering from polycystic ovary syndrome. This particular study is the first time that myo-inositol was used to study any effect on gestational diabetes. As with any study, these are preliminary findings and more research will be needed, however, it is a promising situation in showing that something as simple as a supplement can reduce the number of women with diabetes risk during pregnancy, as well as the benefits for their babies. During pregnancy, doctors will often recommend prenatal vitamins which typically contain the additional nutrients the body needs for the mother and child. The average prenatal vitamin doesn’t currently contain myo-inositol, although it does usually contain folic acid. Most standard pre and post natal vitamins contain what they refer to as the ‘essential building blocks’ for both baby and mother: iron, folic acid, DHA, omega-3 fatty acid, vitamin D and zinc. Manufacturers of higher quality supplements are now formulating vitamin combinations in organic forms as well, to help ensure that there aren’t any added preservatives, chemicals or unnecessary additives, along with easy to digest vegetable based capsules. Everyone is keeping their eyes on the additional scientific studies regarding myo-inositol and if the positive results continue, it might not be long before we will see myo-inositol as part of the supplementation for those pregnant women most at risk for diabetes.